Dental implants are changing the way people live! They are rediscovering the comfort and confidence to smile, eat, speak, laugh and enjoy life. The Feel and Function Of Natural Teeth! 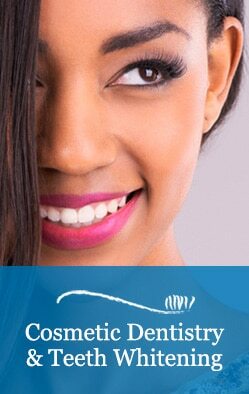 Dental implants are designed to provide a foundation for replacement teeth that look, feel and function like natural teeth. Talk about implants with one of our doctors and you will discover that a person with implants regains the ability to eat virtually anything, and can smile with confidence, knowing that teeth appear natural and that facial contours have been better preserved. Implants consist of small titanium posts that are placed into the jawbone where teeth are missing. The bone integrates with the titanium, creating a strong foundation for a crown. In addition to restoring a natural appearance in the mouth, implants can help preserve facial structure by reducing bone deterioration which typically occurs when teeth are missing.